Merchant accounts are used to accept credit and debit card payments. When setting up your business, it is important to pay attention to the offers available to you, so you can make sure you get the best deal for your business. If you own a retail store, in at least one or more stationary locations, then a retail merchant account is the right choice for you. These accounts typically have low application and setup fees. This merchant account type is best for grocery stores and department stores. Though they typically come with lower fees, there are certain requirements that must be met in order to qualify for this type of account. For instance, most processors require at least 70% of store sales to be swiped through the terminal. Because this type of account requires physical access to the card, the store will need to install at least one, if not more, credit card terminals. These terminals may be free from the provider, depending on the terms of the account. Retail accounts may also be programmed to accept electronic checks and store gift cards. 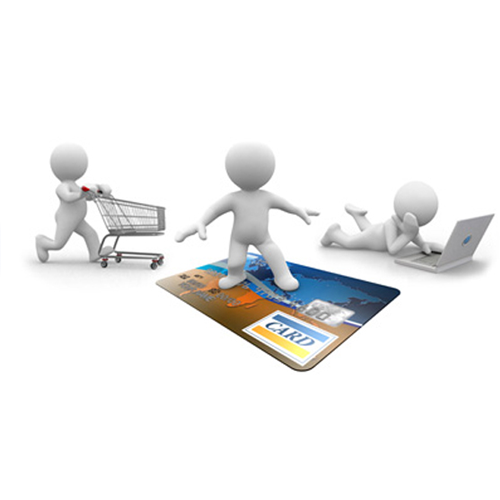 If you sell products or services online, without a physical store location, then an Internet merchant account is the right choice for you. These are special accounts designed specifically for taking payments online. The customer is able to enter his or her own credit card information into the system via an encrypted page, rather than releasing the information over the phone or via mail order. Because service providers don’t make money on terminal equipment, transaction fees are typically higher. If your business is on the go, because you’re going to industry shows or driving a food truck, then a wireless mobile merchant account is the right choice for you. This allows you to accept credit card payments using your mobile device. Mobile merchant accounts are similar to the Internet accounts in terms of ease to setup. The card reader is typically very low-cost, because it does not have to remain in one place, and integrates with a smartphone. The transaction fees and processing rates are a bit higher than traditional accounts because sales volume is typically much lower on a mobile merchant account than a retail account. If your business is online, retail, or mobile, and you want to be able to accept payments over the phone, then a telephone account is the right choice for you. Some of the other merchant accounts may offer this as an additional feature built-in to your account, or may offer it for a small additional fee. This is the best option for companies who advertise or do business through infomercials, or through the shop at home networks. The customer’s payment information is entered into a keypad on a terminal, or into software on the company computer system. This allows you to accept credit cards on mail orders. This is the best choice for companies who do most of their sales through catalog. As with the telephone account, the order is generally taken by entering the customer’s credit card information into a keypad on a processing terminal, or through entering the information into software on the company’s computer system. In addition to less expensive equipment compared to a retail account, the processing fees are typically discounted, though individual transaction rates are higher. Telephone and mail order accounts may be combined, depending on provider. They may be available independently of a traditional retail account, or as additional features available for an additional fee in conjunction with a retail account for establishments with physical brick-and-mortar locations, mail-in catalogs, and a telephone order line. All businesses that accept credit card payments will need a merchant account of some sort. The account acts as a bank account that allows you to accept those payment methods. Though accounts may have varying terms, there will be a per transaction fee, and a processing fee, which is a percentage of overall sales for the month, or each individual sale. Typically, the higher your sales volume, the lower the processing fee is. Many smaller businesses have implemented a fee for using a debit or credit card, usually as low as $.50, or implemented a fee for transactions under a certain dollar amount, to help offset their merchant services costs. This is a good way to offer the convenience of accepting credit and debit cards, without having to absorb all the expense. Typically, the larger the business or transaction amount, the less likely you are to incur a fee for using a card to complete your transaction.